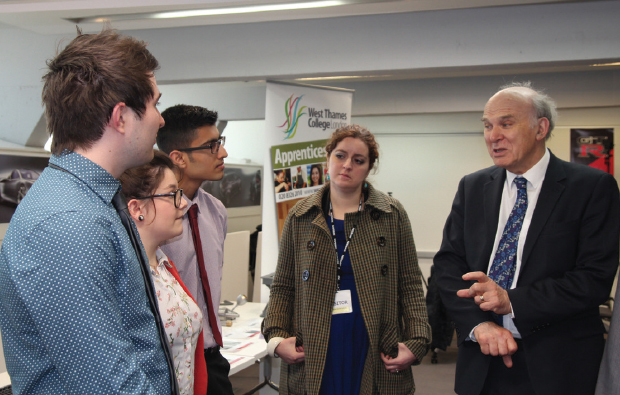 Business Secretary Vince Cable helped Nissan and West Thames College to launch an apprenticeship that will shape the future of car design. Dr Cable was joined at the car firm’s European design centre in Paddington, London, by Andy Palmer, Nissan executive vice president, to unveil the clay modelling apprenticeship programme. The scheme is designed to address a national shortage in skilled sculptors who give form to the vision of car designers. Dr Cable met the first three apprentices — Sanny Kumar, 18, Joanna Bond, 19, and Robert Bennett, 23. They were selected from more than 900 applicants.